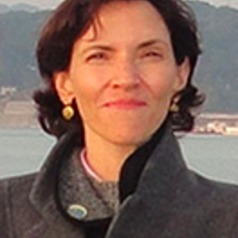 Dr. Cecilia Tortajada is Senior Research Fellow, Institute of Water Policy, Lee Kuan Yew School of Public Policy, Singapore. The main focus of her work at present is on the future of the world´s water, especially in terms of water, food, energy and environmental securities through coordinated policies, and on impacts of global changes on water resources. She has been an advisor to major international institutions like FAO, UNDP, JICA, ADB, OECD and IDRC, and has worked in countries in Africa, Asia, North and South America and Europe on water and environment-related policies. She is a member of the OECD Initiative in Water Governance. She is a past President of the International Water Resources Association (2007-2009) and an honorary member of the IWRA. Editor-in-Chief of the International Journal of Water Resources Development, Associate Editor of Water International, member of the Editorial Boards of the Journal of Natural Resources Policy Research, International Journal of Water Governance, Urban Planning and Transport Research Journal, Frontiers in Environmental Science and IWRA (India) Journal, and editor of book series on Water Resources Development and Management of Springer. She is also editor of Springer Briefs on Case Studies on Sustainable Development and on Water Science and Technology; and member of series Advisory Board of Springer Briefs in Earth Sciences, Geography & Earth System Sciences. She is the author and editor of more than 30 books by major international publishers. Her work has been translated into Arabic, Chinese, French, German, Japanese and Spanish languages.